Many congratulations to all highly successful pairs and Teams. Apologies for the errors on the Yellow Course. To try and make it fair for all on this course I have now deleted two controls control from the calculations. The North Powys Primary Schools Orienteering Championships for 2017-18 (will once again be organised by Mid Wales Orienteering Club in conjunction with Powys Sports Development) and will take place on Monday 30th April 2018 @ Gregynog Hall, near Newtown, with kind permission of the interim CEO of Gregynog Hall, Michael Hoch. We are also very happy to announce that Montgomery Water (Jonathan Williams) is providing us with sponsorship - each competitor/member of staff will get a free bottle of water after Download. A “selection policy” will be used again this academic year for the Primary Schools only, namely that the first 8 School teams per course to finish (Yr. 3/4 on White and Yr. 5/6 on Yellow) at the Cluster day will be eligible for the North County Championships + any pairs who finish in the first 10 per course at their Cluster but their school did not qualify through the “Team” event. However, School teams that have qualified are restricted to bringing a maximum of 8 pairs per course this year. If a school does not enter the Cluster event, then they won’t be able to compete at the County Champs. Entries must be received no later than Friday 19th January 2018 on the Excel spreadsheet - entries received after this date will not be accepted (unless by prior agreement with Bill Marlow). We operate an "all inclusive" policy, so if you have any children with additional needs they may enter and be accompanied by an adult so long as it is declared on the entry form (this will be sent to the schools before the end of term). In the interest of fairness, no Adults will be allowed to accompany any other children. Entry Fee: If you entered the Primary Schools Cluster event for your area you will have already paid a £15.00 fee (which covers all events in this academic year), so there is no further fee to pay. However, those Primary Schools that have still not paid their entry fee for their Cluster events will need to send their £15.00 cheque (payable to “Mid Wales Orienteering Club”) to Katie Hamer. This must arrive no later than Friday 26th January 2018. Individual event: Those competitors on the White to Yellow will be allowed to go around individually, in pairs or at the worst in threes. I have written in to the software that if a control is missed out then a 5 min Time Penalty will automatically be added. This means that no one goes away with "Disqualified" next to their name in the results (unless they forget to Clear before the Start, or forget to Dib at the Start and/or Finish or go around in the incorrect order! ), i.e. a positive result occurs. Team event: As well as an "Individual" Championship, a "Team" event will operate within each colour course. Namely, after the competition has finished then the three fastest times per school will be calculated per course and the school with the lowest aggregate time per course will win that colour course/Year group(s), etc., etc. Prizes: It is hoped to award medals to the first three pairs/threes in the individual competition on each course + Team winners for each course. Map: The map will be a pre-marked (per course) 5-colour map on water-proof paper, with bi-lingual control descriptions on the back of the map. The scale is at 1:5,000 (although the White and Yellow courses may be at 1:5,000, this will be confirmed at a later date), i.e. 1cm on the map represents 50m on the ground. The map was first produced in 2006 by a professional mapper, with updates in 2017 ready for this event. Safety: The Yellow course passes near to the old Kitchen Walled Garden. You should be made aware that this structure has been deemed unsafe, so please do not wander into this area. I have marked this area on the map as "Out of Bounds" (red hatching) and there will be an adult positioned there on the day to steer you clear. Clothing: Trainers should be adequate footwear for all courses – there may be a few muddy and/or slippery areas on all courses at this time of year. You are recommended to bring a waterproof jacket, as April can be cold and wet - April showers! Please note: We reserve the right to refuse a person(s) from taking part if he/she/they is/are wearing inappropriate footware. Results: A full set of Individual results and Team results will appear on the Club website (www.mid-wales-orienteers.org.uk) as soon after the event as humanly possible. If you wish to do some further Maths work using Excel, then please contact me and I will email the results to you in csv format (this can easily be converted to Excel format). 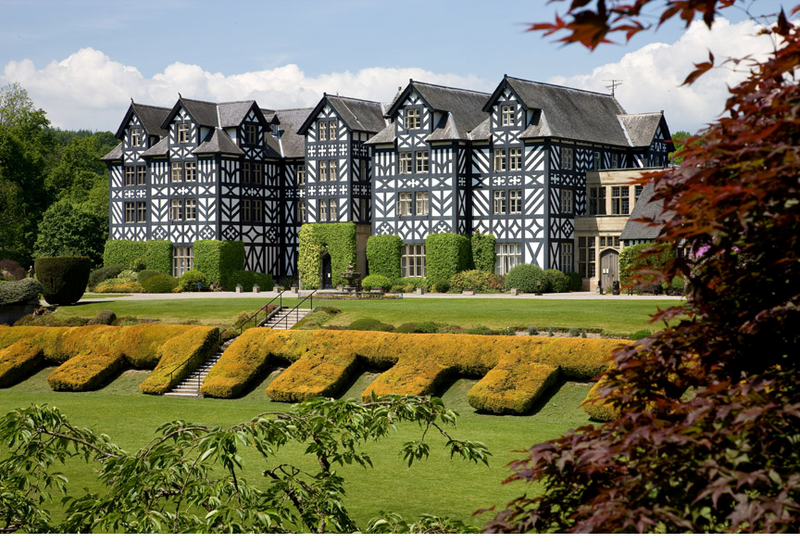 Inter-County Primary Schools event: Selection will be based purely on the County Champs held at Gregynog in March 2018. Selection for this year (22nd June 2018) will follow the same principle, i.e. the first five pairs to finish will get automatically selected + those finishing in 6th & 7th places will act as "reserves" (last year some of the reserves were called upon to run). This event will take place on Friday 22nd June 2018, venue tbc with starts from 11.00am. Directions – from Newtown navigate towards Tregynog and follow signs for Gregynog shortly before reaching Tregynon (Grid Ref: SO 085975) for Assembly and Parking, Start & Finish. 10.00am - 1.30pm (write on your entry form whether you prefer to compete in the morning or afternoon – specify a particular time if need be and we will try to keep to that time, unless there is a high demand for a particular time!). However, after a couple of competitions or even straight away, you might wish to join MWOC. Why not download the form below and send it to our Club Membership Secretary (Clive Thomas)? This form is ready for 2018. Cafe will be open (from 10.00am until 2.00pm); toilets available (10m from the Start! ).